VegiLicious is a small restaurant of Akira & Ana. We come from Japan and have a big dream that one day all the people in the world will live happy & peacefully. America is the No.1 country of obesity, disease, meat consumption, and greenhouse gas emission. 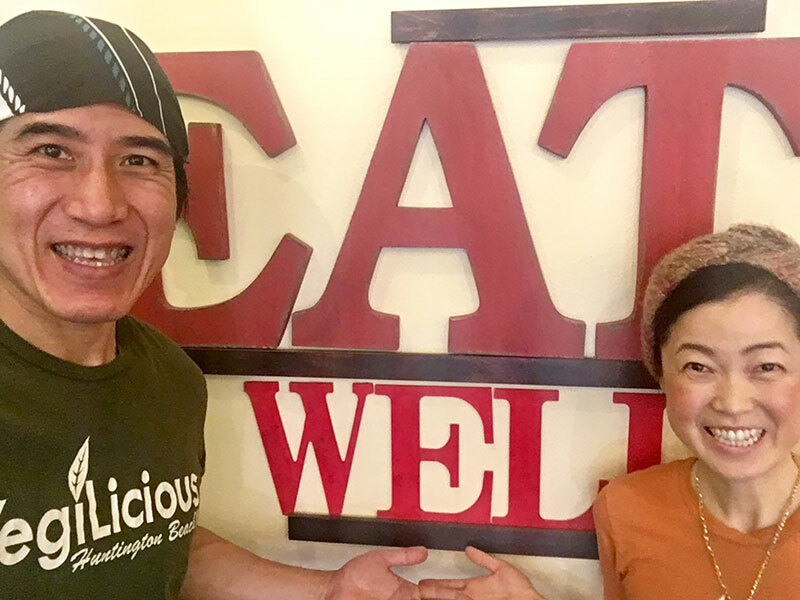 We wanted to better the situations for people, animals and the planet and established the organic vegan restaurant VegiLicious in this country spending $200,000 in 2013 quitting Akira’s former job, the general manager of a large BBQ restaurant chain. For your health and real happiness, we use ALL ORGANIC vegetables, fruits, rice, beans, nuts & seeds and all premium-grade seasonings and make great-tasting food from scratch WITHOUT any white sugar, refined salt, oil (except for organic olive oil for pan-fried items) and MSG but WITH all our HEART & LOVE. We would truly like VegiLicious' food to make you & the planet healthy & happy, help solve the food shortage of the world and save animals. Please enjoy the exceptionally delicious healthy nutritious food we have accomplished and our deepest hospitality service and support our restaurant located in the area having significantly low demand for good vegan food so we can continue contributing to people & the planet.